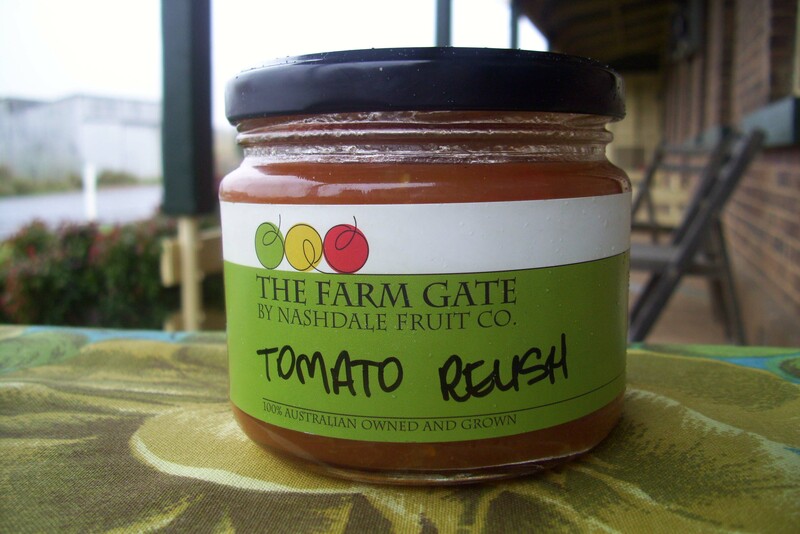 Rainy Days on the Farm, Lunch is Called | The Farm Gate by Nashdale Fruit Co.
Those who have had an eye on the weather report lately will know that in Orange it has been bloody cold. Today, it was also bloody rainy! Please excuse the language, but the temperature reached a maximum of five on the farm today, and winter is barely upon us, so I’m sure you can understand why the extra emphasis is required! Most people’s ideas about life on the farm focus on the outdoors: growing, pruning, harvesting, preparing produce for sale. But what do farmers do when it’s raining? Sometimes, we just have to grin and bear it. The necessities of work on the land do not wait for the weather to clear! Thankfully, we also have a few other options. We head into the shed to do some indoor work; the boys will sometimes catch up on some hard-earned sleep; I on the other hand will often head into the kitchen to work on our range of bottled goodies utilising our produce. If it happens to be lunch time when the bad weather sets in, as it was today, lunch is called and I’m in charge! Fortunately, this is the perfect opportunity to visit friends in and about town and sample local goodies. 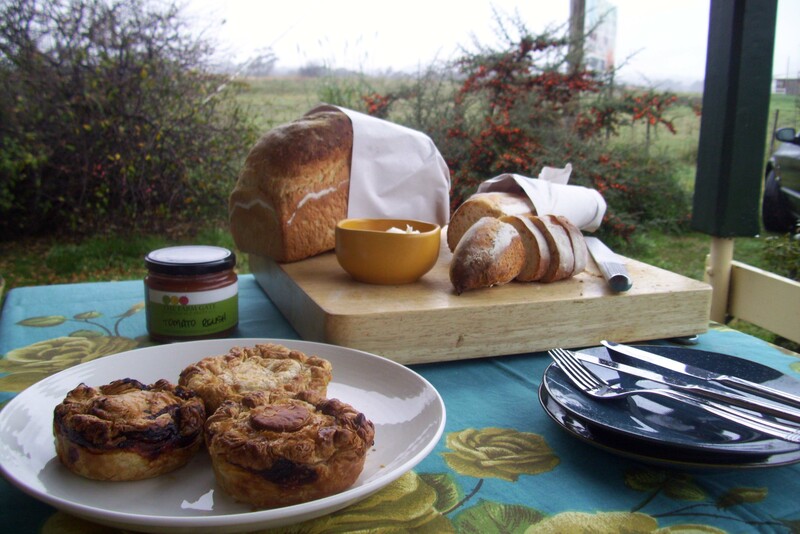 Today, first stop was Totally Local for Greek Lamb, Mediterranean Vegetable and Chunky Beef pies made for Mary’s Munchies by local producer Anna’s Cuisina. 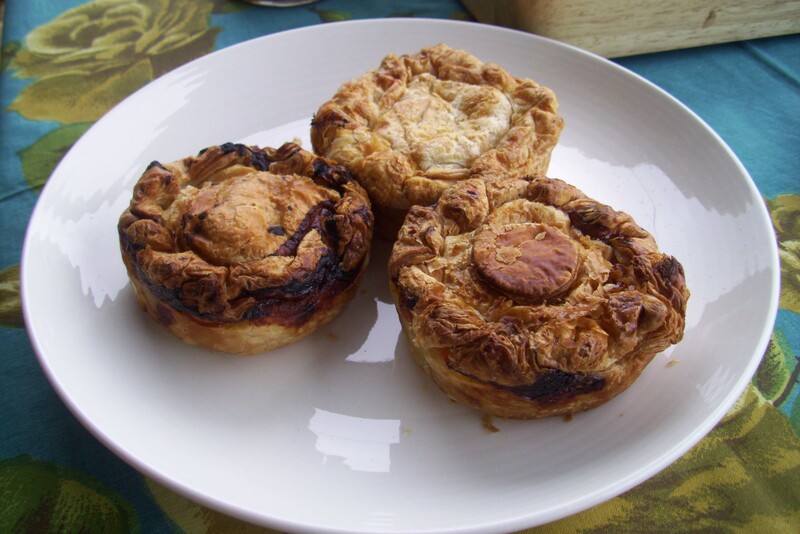 Each was sensational, but my favourite was the Mediterranean Vegetable, the hit of flavour proving that the humble vege pie doesn’t have to be the poor cousin of the classic meat pie. Some homemade tomato relish was just the thing to complement these flaky treats. 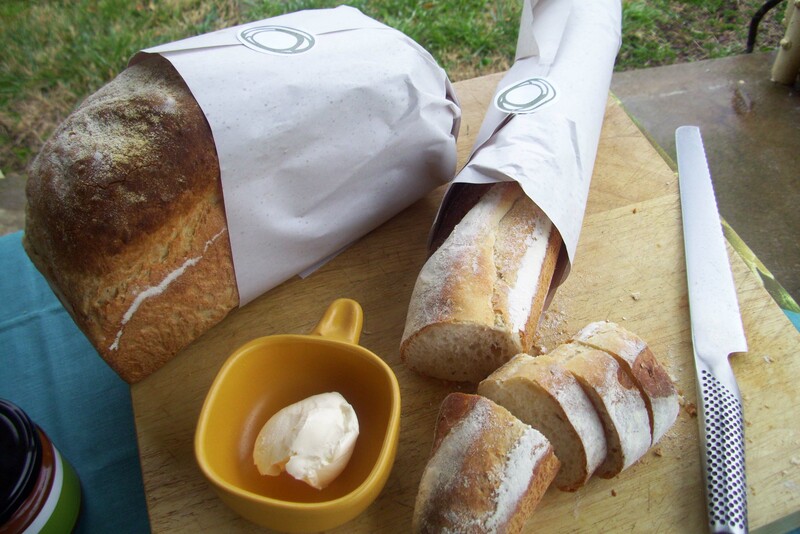 Second stop was at A Slice of Orange for freshly-baked bread stocked directly from Racine at La Colline. Chef Shaun Arantz uses our apple juice in the dough mixture, and it just doesn’t get much better than that: local supporting local! Suffice to say, the life of a farmer isn’t all socialising and nomming on baked goods. As I write, Dad and Beau have returned to the farm while there is a slight break in the weather and I have started on some preserved lemons and beetroot relish. 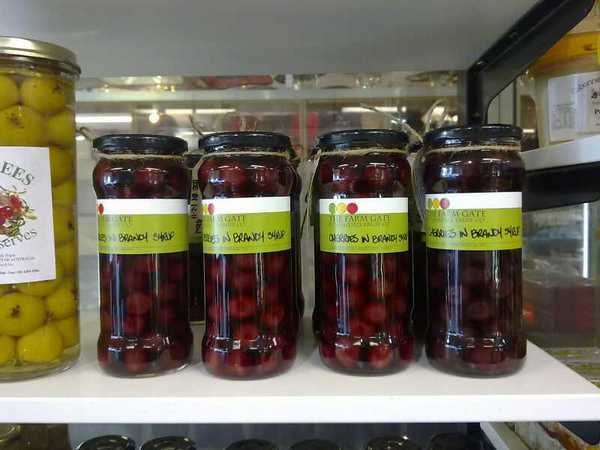 More information on our growing range of preserves and other products will be coming soon and you should start to see products including Fig Jam, Quince Jelly, Cherries in Brandy Syrup and Tomato Relish at our market stalls by July, with our Preserved Lemons and Beetroot Relish close behind. 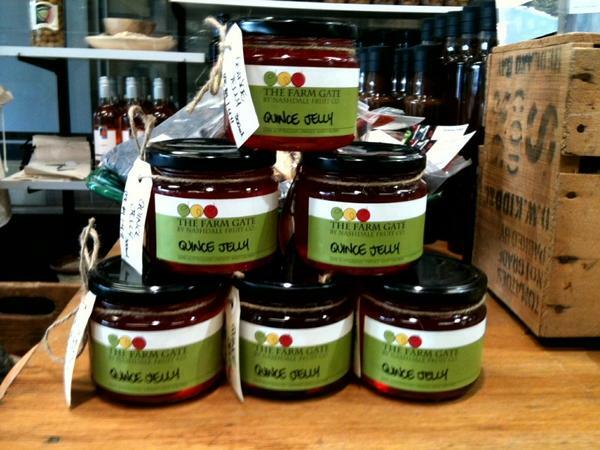 If you can’t wait that long, our Quince Jelly and Cherries in Brandy Syrup are already available at A Slice of Orange! To complement our extremely popular clear apple juice, a pressing of cloudy apple juice will be arriving next week and on sale soon. In the meantime, I would like to take this opportunity to congratulate Shaun and Willa Arantz at Racine at La Colline for their recent win at the 2010 Savour Australia Restaurant & Catering Awards for Excellence. They received the gong for Best Restaurant in a Winery for the Blue Mountains and Central West region. Just gorgeous! 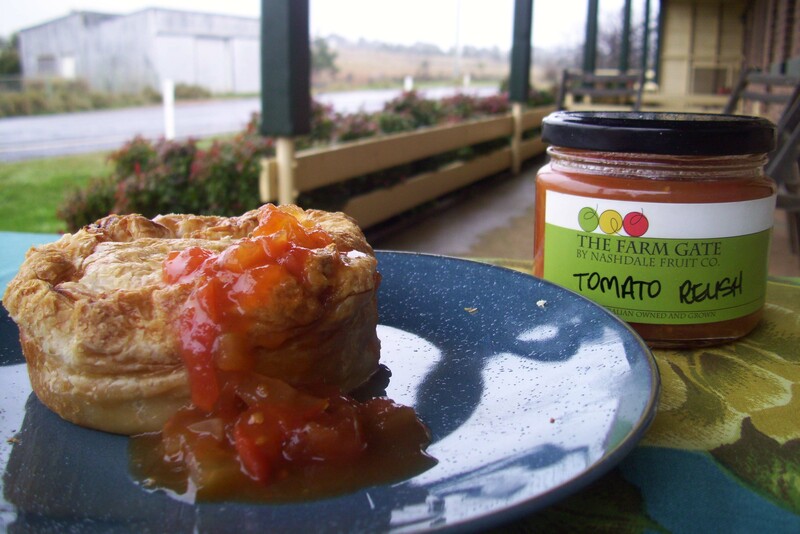 Glad to see that the rain gave you some time to squeeze in some treats in to reward all of your hard yakka.